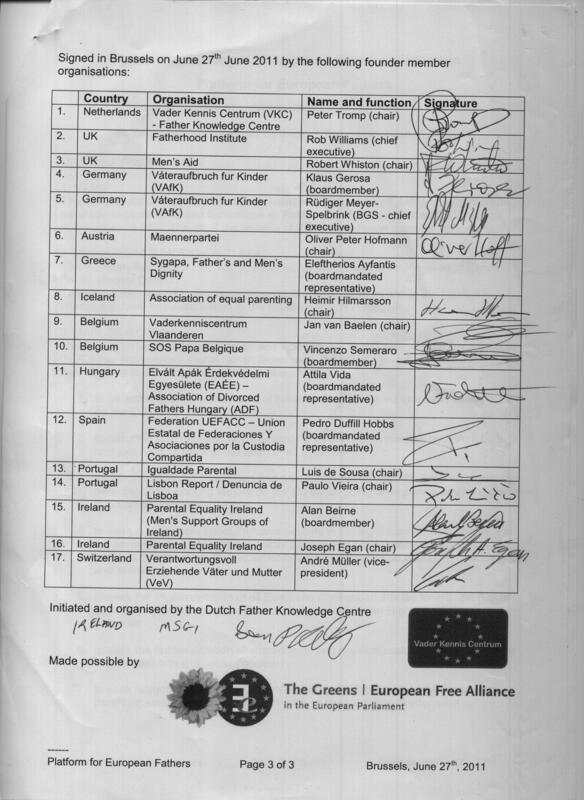 Marije Cornellissen (MEP Dutch Greens/EFA), the ‘founding mother’ surrounded by the founding fathers of the ‘Platform for European Fathers (PEF)’ . Left to right: André Müller (VeV, Switserland), Alan Beirne (PEI, Ireland), Rüdiger Meyer-Spelbrink (VAfK, Germany), Paul Coleman (PEI, Ireland), Rob Williams (Fatherhood Institute, UK, Vice Chair PEF), Robert Pigott:(IMN, Ireland), Heimir Hilmarsson (EPI, Iceland), Marije Cornellisse (MEP Dutch Greens/EFA), Jan van Baelen (VKC, Belgium), ? 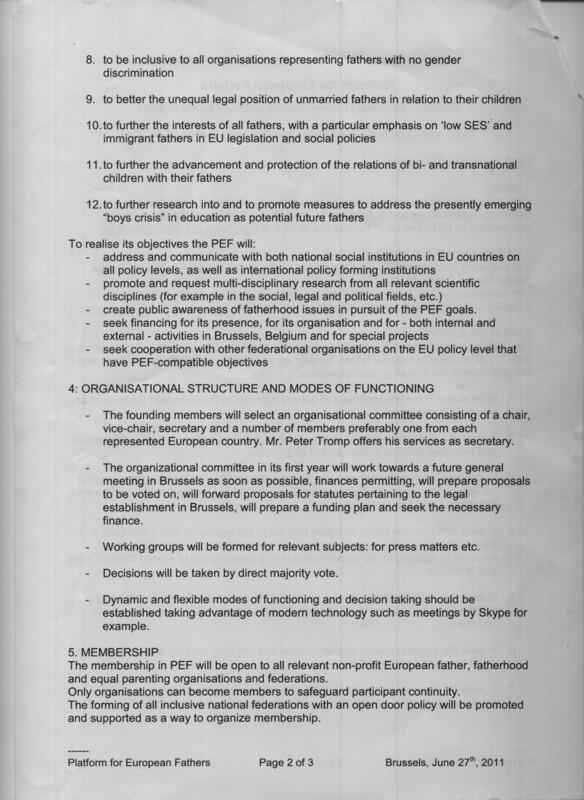 ?, Peter Tromp (VKC, Netherlands, Primary founding father and Secretary of PEF), Robert Whiston (Men’s Aid, UK), Vincenso Semeraro (SOS Papa, Belgium), Joseph Egan (PEI, Ireland, Chair PEF), Attila Vida (EAÉE, Hungary), Konstantina Davaki (Guest speaker LSE, UK), Pedro Duffill Hobbs (UEFFACC, Spain), Klaus Gerosa (VafK, Germany), Oliver Peter Hofmann (MP, Austria). (Not in photo: Paulo Leitao (DdeL, Portugal), Luis de Sousa (IP, Portugal), Sean Kelly (MSGI, Ireland), Elephterias Ayfantis (Sygapa, Greece)). 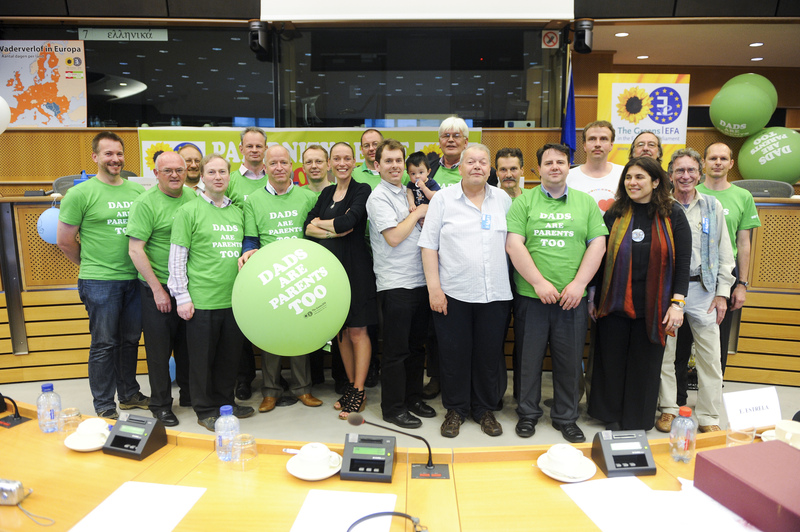 This entry was posted in 'Founding mother', 2011, 27 juni 2011, 28 juni 2011, Alan Beirne (PEI Ireland), André Müller (VeV Switserland), Attila Vida (EAÉE Hungary), Elephterias Ayfantis (Sygapa Greece), European Greens EFA, European Parliament, Founding fathers, Founding Statement, Greens / European Free Alliance, GroenLinks Europa, Heimir Hilmarsson (EPI Iceland), Jan van Baelen (VKC Belgium), Joseph Egan (PEI Ireland Chair PEF), June 27th 2011, Klaus Gerosa (VAfK Germany), Konstantina Davaki (Guest speaker LSE UK), Luis de Sousa (IP Portugal), Marije Cornellisse (MEP Dutch Greens EFA), Oliver Peter Hofmann (MP Austria), Paternity leave, Paul Coleman (PEI Ireland), Paulo Leitao (DdeL Portugal), Pedro Duffill Hobbs (UEFFACC Spain), PEF, Peter Tromp (VKC Netherlands Primary founding father and Secretary of PEF), PEV, Platform for European Fathers, Platform voor Europese Vaders, Primary founding father, Rob Williams (Fatherhood Institute UK Vice Chair PEF), Robert Pigott (IMN Ireland), Robert Whiston (Men’s Aid UK), Sean Kelly (MSGI Ireland), Vader Kennis Centrum, Vincenso Semeraro (SOS Papa Belgium) and tagged priority. Bookmark the permalink. 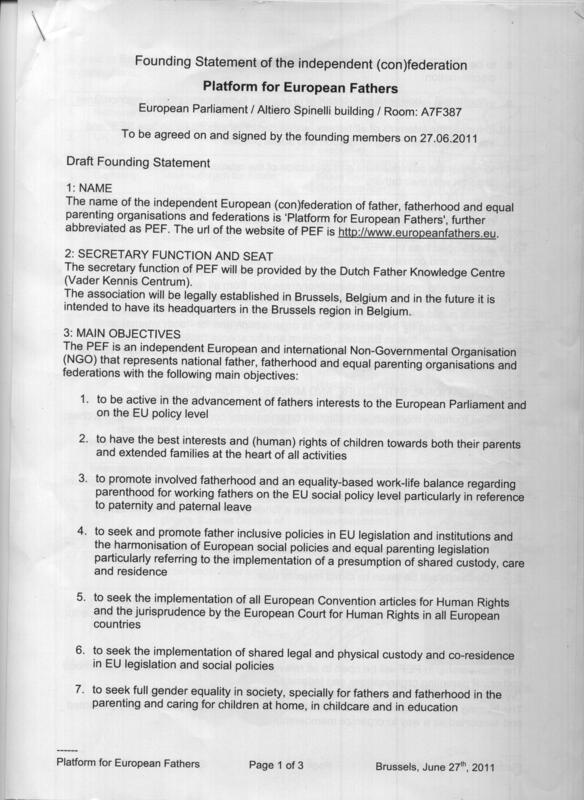 Excellent to come across this,, good to see Robert involved and also Parental Equality IE. 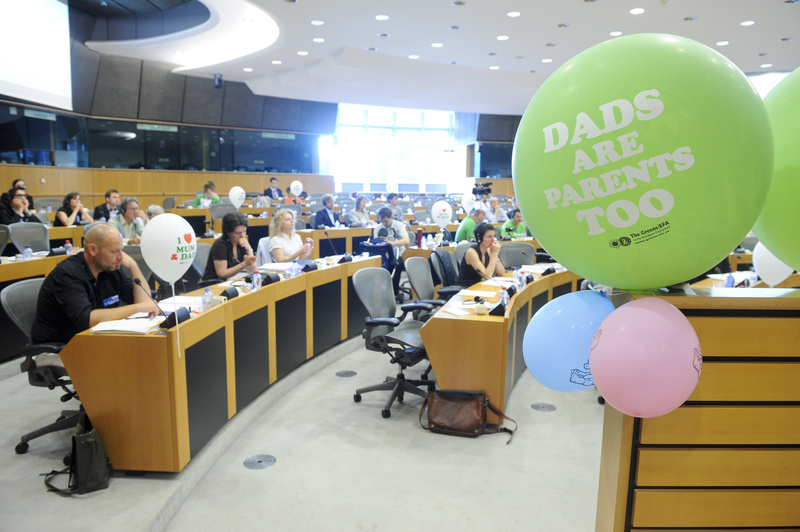 This is really good news: as a father who is currently hindered to see his own daughters by their mother, I am convinced that the problem is at least European, and its solutions should be found in common policies and practices with ALL the EC Member States. Fantastic! Good to see the Greens involved!! I hope the Greens in New Zealand follow suit!